On Thursday, October 2nd, the Ridgefield League of Women Voters is sponsoring a debate between the Connecticut State Senate District 26 candidates, Toni Boucher and Phil Scharlach, the 111th Legislative District candidates, John Frey and Sky Cole, and the 138th Legislative District candidates, Jan Giegler and Henry Hall. The debate will be held at the Ridgefield Library, 472 Main St., from 6.30 pm to 8.30 pm. The State Senator from the CT State Senatorial District 26 represents the towns of Bethel, New Canaan, Redding, Ridgefield, Weston, Westport and Wilton. The State Representative from the 111th Legislative District represents the town of Ridgefield. The State Representative from the 138th Legislative District represents residents in Northern Ridgefield, Danbury, and New Fairfield. This is a great opportunity for voters to find out what stance their local candidates are taking on issues important to our families and communities. Do you know what Common Core is all about? Do you need to update your knowledge about Ct.’s Gun Laws and expansion of Voting Opportunities? If you are an undecided voter or feel you need more information before you mark your ballot in November, come and find out what your local candidates have to say. The League will provide note cards for attendees to submit questions for the candidates prior to the debate. This forum is free and open to the public. 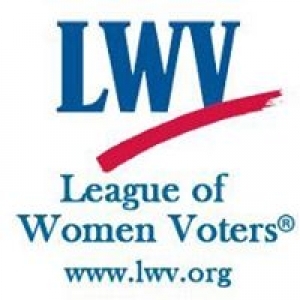 The League of Women Voters is a non-partisan political organization that encourages active, informed participation in government and voting.